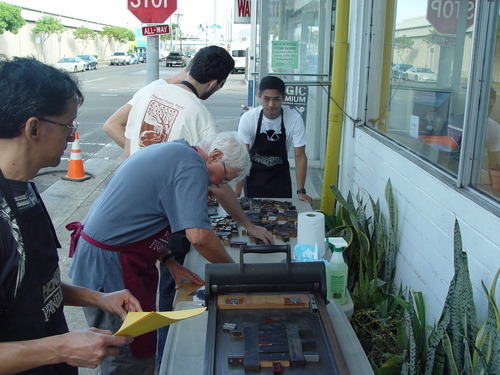 On Thursday, June 20th the Honolulu Printmakers took over the sidewalk in front of R&D in Kaka’aka to conduct a pre-film letterpress printing demo. The film showing that night was Linotype, a documentary about the typecasting technology of the same name. 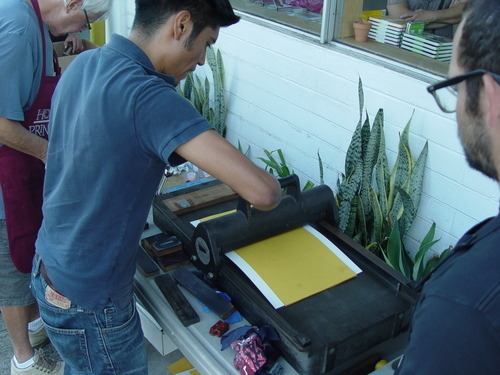 We thought it would be a nice complement to the film to have an activity that familiarizes folks with letterpress printing. 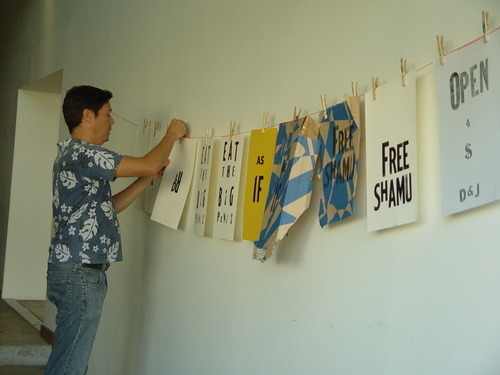 The set-up was pretty basic— a Vandercook No. 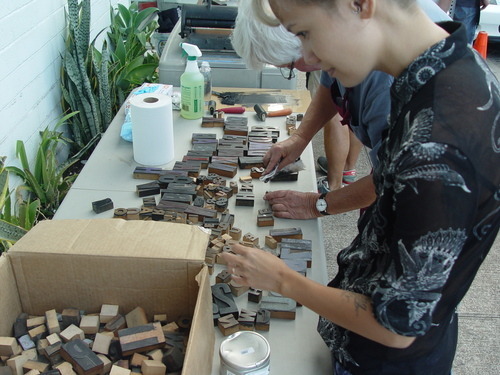 0 proof press, a whole mess of random wooden type, some magnets to hold the type in place, and some ink and paper to complete the deal. Best practices (proper lock-up, careful inking, etc) take a back seat when you’re doing quick and dirty sidewalk printing. 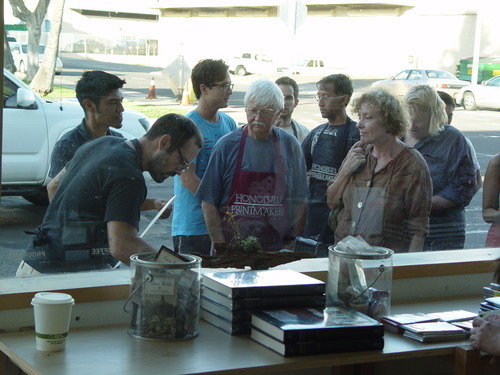 People are naturally drawn to wood type and we soon had a line of eager participants. 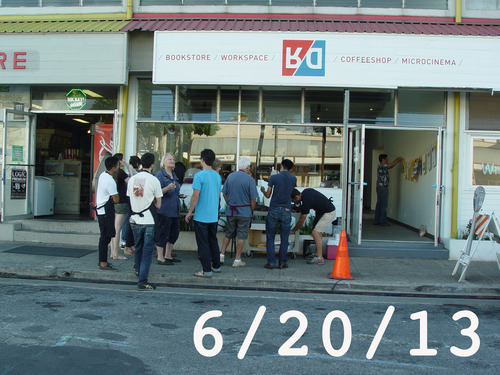 Thanks to Sean Shodahl of Interisland Terminal/R&D for inviting us in, and of course Honolulu Printmakers volunteers Hans Loffel, Darren Zane, Noah Matteucci, Kyle Jablonski, and Jeremy Pang.